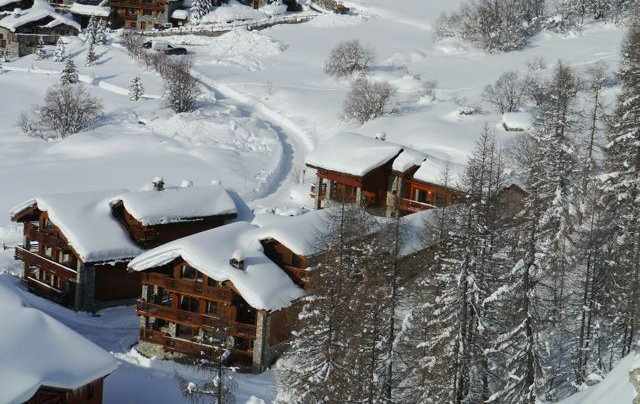 Chalet Saulire is a spacious and comfortable chalet located in the Le Cret area of the resort. The town centre is a short 10 minute walk from the chalet but guests are best served by jumping on the quick, efficient and frequent bus service which stops close by the chalet. The Chalet Saulire underwent a facelift last summer, the kitchen is now more spacious and the social area of the chalet got a lick of paint and some new hand built furniture too. The sofas are arranged around the roaring fireplace, a lovely spot for a glass of wine and some tales about the day’s skiing. The chalet has shared access to the hot tub in the courtyard outside the chalet. Ground floor: Entrance Hall. Ski and boot storage. Separate w.c. Garage spaces available. 3rd floor: 3 twin rooms all with bath, shower, basin, wc and balcony (2 in eaves).